At the conclusion of an even-numbered season, the affiliation shuffle begins. Ben Hill takes a look at the changes that occurred across the Minor Leagues. The relationships between Major League clubs and their Minor League farm teams are codified via player development contracts (PDCs), which are two or four years in length. Ten Minor League teams changed their Major League affiliations over the past three weeks, while several other teams are relocating to new markets while keeping the same parent club. What follows is a recap of how it all went down. The last time the affiliation shuffle occurred in 2016, the Triple-A landscape remained unchanged. That was not the case this time around. The Pacific Coast League, in particular, will be vastly different heading into the 2019 season, with one new team — the San Antonio Missions, replacing the Colorado Springs Sky Sox — and five affiliation changes. (San Antonio will be a Brewers affiliate, continuing the relationship established in Colorado Springs). As for the five Triple-A affiliation changes, one was more or less preordained: the Round Rock Express and the Houston Astros. Nolan Ryan serves as an executive advisor with the Astros and his son, Reid, is team president. The Express, meanwhile, are owned by a group that includes Nolan, Reid and Reese Ryan, with Reese serving as CEO. These ample familial connections resulted in the Express severing their eight-season relationship with the Rangers and returning to the Astros’ fold via a four-year PDC. The Express were a Houston affiliate from 2000-10, a relationship that spanned their 2005 transition from the Double-A Texas League to the PCL. As for the Rangers, conventional wisdom dictated that, as a Texas-based franchise, they would end up in San Antonio. But the Rangers took a different path, opting for a four-year PDC with the Nashville Sounds. First Tennessee Park, home of the Sounds, opened in 2014 and is a far more player development-friendly facility than San Antonio’s 24-year-old Wolff Stadium. The Sounds had previously been an affiliate of the A’s, who instead opted for a two-year PDC with the Las Vegas 51s. The 51s (who will change their name before Opening Day) will play in a new ballpark in 2019, marking a huge upgrade from player amenity-deficient Cashman Stadium. The combination of a new facility, greater proximity and a pre-existing friendship between A’s executive vice president Billy Beane and 51s president Don Logan made Las Vegas and Oakland an ideal match. The maneuverings described above resulted in the Nationals being the odd team out. They previously were affiliated with the Syracuse Chiefs, but that was a lame duck relationship as a result of the Mets buying the Chiefs prior to the 2017 season. 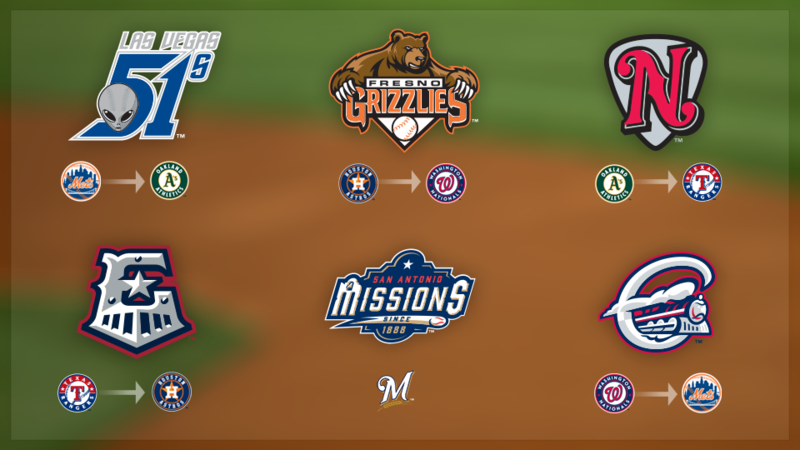 The Mets (who had previously been with Las Vegas) are set to officially begin a long-term relationship with Syracuse, leaving the Nationals with no choice but to partner with the Fresno Grizzlies on a two-year PDC (the Grizzlies had been affiliated with the Astros). The 2,800-mile distance between Fresno and Washington, D.C., exacerbated by limited travel options in and out of Fresno, make this a partnership based on necessity. The Mets’ move to Syracuse, which will also be changing its name, marks the first change to the International League landscape since the Buffalo Bisons switched from the Mets to the Blue Jays in 2012. A new entity will be on the Double-A scene in 2019 in the form of a yet-to-be-named Texas League team playing at a new ballpark in Amarillo. This team previously existed as the San Antonio Missions; as detailed above, San Antonio moved up a rung on the Minor League ladder and is part of the PCL. Amarillo will be a Padres affiliate, just as the Missions’ Double-A team had been. 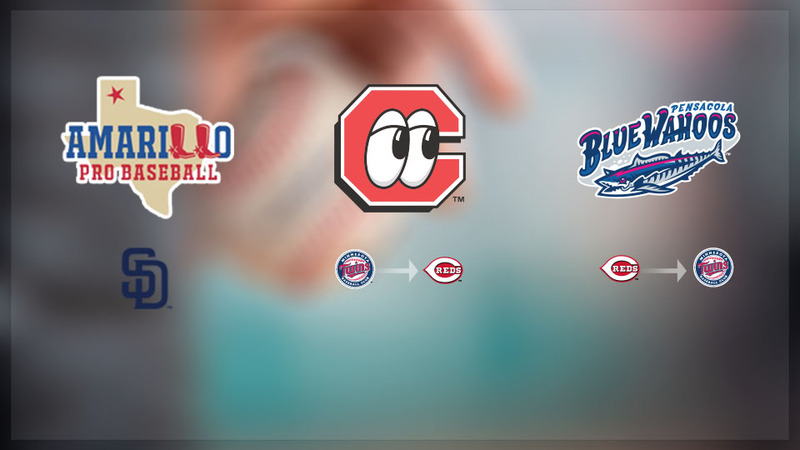 As for Double-A affiliation switches, it simply comes down to the Chattanooga Lookouts and Pensacola Blue Wahoos swapping parent clubs. The Lookouts, previously with the Twins, entered into a two-year PDC with the Reds. The two organizations are no strangers to one another, as they previously were affiliated for 21 seasons (1988-2008). This is a move that should work out for both entities, due to increased proximity as well as the possibility of a new Chattanooga ballpark in the near future. After the Reds announced that they were returning to Chattanooga, the Blue Wahoos were left with the Padres or Twins. When the former opted for Amarillo, the Twins were the only option. Their two-year PDC, a partnership-by-necessity, didn’t seem to come with the same baggage as the aforementioned Washington-Fresno pair-up, with Blue Wahoos president Jonathan Griffin declaring the situation a “rare time when there are no losers.” Blue Wahoos Stadium is still among the newest facilities in Double-A, and the Twins have their Class A Advanced affiliate (the Fort Myers Miracle) and Double-A affiliate both based in Florida. The Eastern League landscape remains entirely unchanged, with the last affiliation switch being the New Britain Rock Cats (now the Hartford Yard Goats) becoming a Rockies affiliate in 2014. At the Class A Advanced level (California, Carolina and Florida State Leagues) there was nary an affiliation change. This brings us to Class A, which saw three of the 30 teams switching partners. In a somewhat surprising move, the Pirates and West Virginia Power ended their 10-year affiliation. The Power and the Mariners agreed on a two-year PDC, with the Pirates moving on to a two-year PDC with the Greensboro Grasshoppers. 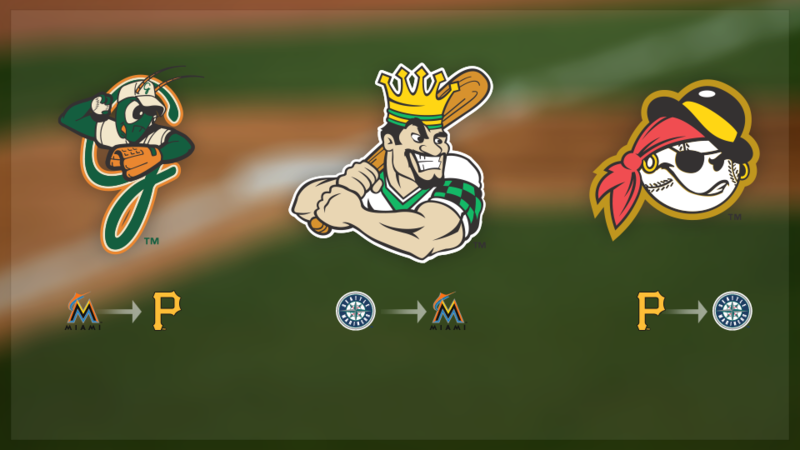 The Grasshoppers had been a Marlins affiliate, who entered into a two-year PDC with the Clinton LumberKings. Finally, there were no affiliation changes in any of the short-season (New York-Penn and Northwest) or Rookie leagues (Appalachian and Pioneer). There will be a new team in the Pioneer League, however, with the Helena Brewers relocating to Colorado Springs. That yet-to-be-named entity will remain a Milwaukee affiliate. Benjamin Hill is a reporter for MiLB.com and writes Ben’s Biz Blog. Follow Ben on Twitter This story was not subject to the approval of the National Association of Professional Baseball Leagues or its clubs. Seattle honored its top individual performers in its minor league system. Pitchers beware? Beginning next year, both Triple-A leagues will use baseballs made to the same specifications as Major League Baseball’s balls.